Song of David - Clip from Jewish Forward on Vimeo. Comment: The interpenetration of traditional Jewish culture and the pop culture of the streets has fascinated me for a long time. Without question, it is an unwelcome and dangerous phenomena. I still remember the furor that the first Jewish "rocking" tune, "Bamarom Yelamdu" provoked in the Yeshiva circles and now our children don't know a different kind of music. Unfortunately, however, it is also unstoppable. We can erect higher walls and ban it, but it will slip in through tiny cracks in the yeshiva walls and though wide open conduits opened up by Orthodox "artists". Looking at the Jewish life 30 years from now, can anyone doubt that the surrounding culture will have changed our shuls, our ways of thinking, even our way of associating and daily life? How then should we deal with this unprecedented penetration of the street into our communities? Since emotional arousal, images and boundary blurring is the essential component of the artistic experience, we need to allow a greater role to those elements of the religion that share this characteristic. These are the mystical and magical elements of religion that at this time are found only in certain charismatic groups in Orthodoxy. You can't fight the attraction of inner experience, artistic awakening and torrential emotions with intellectual indulgence or dry hashkofo. Instead, we should mine the treasures of Chassidus, Kabbolao and Misnagdic spirituality and make them more accessible to those who are not learned or are not aware of them or how they work. To a great degree, this is already spontaneously happening. There is a thirst for such spirituality that is welling up and revealing itself in the phenomenal growth of Lubavitch and Breslav, Kabbala, Kabbala, Kabbala, and the formation of small, closely knit religious communities and groups. It is, of course, dangerous, but, I think that it is also inevitable. The Chassidic revolution was also a very dangerous time for Judaism and the Jewish people, but we survived it and because of it. We can ride this tidal wave or we can be submerged below it. I think the former is better. ...In memory of my father-in-law D. M ben Y.D. whose yohrzeit had just passed. The obligation to honor members of one's family can be either primary and specific to the person honored, independent of the obligation to honor parents and teachers, or secondary, or, derived from the obligation to honor ones own parents, elders or teachers. In the former cases, it deserves, perhaps warrants its own obligatory source; in the latter, it is merely an extension, i.e., by honoring others, such as the oldest brother, you show respect and honor to his and your parents. (see Minchas Chinuch, 33 in regard to such an analysis of the obligaton to honor the oldest brother). One assumes that if there is a Scriptural source for a specific obligation to honor, it is not an extension of another obligation, whereas if there is no separate source for an obligation to honor someone, it is merely an extension of another obligation. The obligation to honor one's father in-law is curious in this regard, for while there is a moral requirement to "honor" one's wife and doing so brings blessing, there is no halachic obligation to do so. Thus, one should not have to honor one's father in-law as an extension of the honor owed to one's spouse. Bu this logic, there should be no obligation by extension to honor one's in-laws. The source of this obligation therefore becomes the crucial question in order to establish that it even exists, and if so, what its nature might be. Rambam and Tur do not say that a man must honor his in-laws. The Bach suggests that this omission is based on variant application of drashos about the respectful interaction of David and his father in-law, Saul, in Midrash Shochar Tov and that the follow the 2nd opinion in the midrash that applies this interaction for Avner and not to Saul. The Mechaber, however does quote these words: "A man is obligated to honor his father-in-law". Shach explains it as follows, "as much as he is obligated to honor other elders". Shach clearly understands that the source of the obligation to honor one's in-law is no greater and no different than that of honoring older people. Why then does Shulachan Aruch need to write it at all? There are, however several other sources that I had seen over the years that suggest an independent source, and by implication, a non-contingent nature, for this obligation. 1.Torah Temima to Shemos 18:7 quotes a Mekhilta: "from here they said that a man must be ready for his father-in-law". The Mekhilta derives this from the fact that Moshe kissed Yisro first, and only then did Yisro kiss Moshe. Torah Temima is convinced that this is an incontrovertible source for an obligation to honor the father in-law, but, in fact, it only says that a person should extend himself to his father-in-law before the father in-law extends himself to him. 2. Chareidim to Yerushalmi Brochos 3:1 (p.23, s.v. hu hava chamoi) off-hand refers to a Rashi in Shabbos 23 as a source of this obligation. However, the Rashi and the passage which he elucidates are not at all explicit in this regard. This verse is now often now understood in an exclusive fashion - that a newly married man or woman must separate from his or her parents. 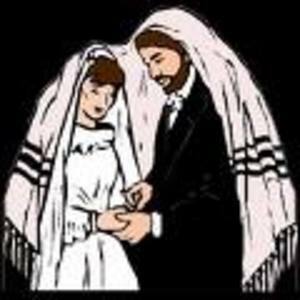 The Chareidim understands it inclusively, meaning that the new family now owes respect and honor to both sets of parents, each partner in marriage taking on the obligations of honor and respect of the other. In conclusion, the source and the nature of the obligation to honor one's father and mother in-law (see Ber Heitev to Y.D.240) is not entirely clear. However there are several sources that either outright state or imply this obligation and that also frame it as an independent duty, perhaps derived from the nature of the marriage relationship itself and from the mutual taking on of the obligations by both partners within the marriage. To make wind a quantity and water he had calculated with a measure (Job 28). The midrash interprets this verse an telling us that Hashem measures everything out exactly and appropriately. What we focus on currently is a fascinating statement that the midrash makes as it goes through examples of G-d measuring out exactly the parameters of wind and water, that it understands to be Spirit and Torah. To make wind (spirit) a quantity... R. Acha said" 'Even the Holy Spirit that rests on the prophets rests in a (set) measure. There is one who prophesizes an entire book and one who prophesized two". R. Simon said: " Be'eri prophesized two things and it was not enough to constitute a book and its was attached to Isaiah. These are they: 'And when they say to you, seek the sorcerers and magicians' and the following verse (Isaiah 8)." The idea that Prophets and Writings contain interpolations authored by other prophets is striking but not unique. The Netsiv of Volozhin (quoted below) points out that this appears to be the standard view of Chazal. There is internal evidence for this position within the book of Psalms and Chronicles. For example, Rashi Bava Bathra 14b brings evidence from the book of Proverbs itself (24,1) that they were edited and put together by Chezekiah and scholars in the generations subsequent to him; Proverbs as well as Psalms contains chapters ascribed to authors other than David and Solomon. The Vilna Gaon writes (Mishlei 30,1): "For the Men of Great Assembly arranged in every book everything that was said with Holy Spirit on the same subject, such as in Psalms they arranged what Aseph, Heiman, Yedusun said of moral matters, rebuke and words of poetry...and also in Proverbs..."
It is important to realize that this second transcription was under the influence of Ruach Hakodesh, not mere work of men, G-d forbid. It follows then that at some point of prior to closing of the canon of the Bible, three kinds of books would have existed: those written and already canonized in their final form, such as Judges and Ruth; those written or orally passed on from generation to generation, such as Isaiah, Daniel, or Esther and those not written under the influence of Ruach Hakodesh or containing a mixture of inspired and non-inspired writing. In the case of the latter, it would fall to the Men of the Great Assembly to transcribe or edit them under the influence of Ruach Hakodesh so that they may also join the canon in their final form, or they could remove from them the verses that were written under Divine Inspiration and attach them to a different prophetic book and discard the rest. Alternatively, they may choose to completely or partially exclude such writings from the canon. They could also choose to sift them carefully to be retained as part of Oral Law; in the latter form they may be kept as sanctified but without all characteristics of full canonical membership. Appreciating this point allows us to solve the riddle of the book of Ben Sira. The book of Ben Sira is unique among the Apocryphal books. It is the only such book quoted frequently by the Talmud and Midrash; more importantly, it is at times referred to in a way reserved for quotations from the Tanach itself. This is difficult to reconcile with other statements that prohibit study of this book. In addition, Sanhedrin 100a approvingly quotes a number of verses from Ben Sira and concludes that "good things from it you can read but bad (nonsensical) things from it you may not read." The Talmud brings examples of some of the "bad" things; it is obvious that they are rejected as aphorisms of no great depth or significance. After what we have established in the preceding discussion, a solution suggests itself after a perusal of the introduction to the book of Ben Sira. This introduction explains that it was written and "almost competed" by Ben Sira "who did not only gather the grave and short sentences of wise men before him but also uttered some of his own..." Farthermore, this Ben Sira lived "in the latter times, after all the people have been led away captive and called home again and after almost all of the prophets". It may be suggested that Ben Sira represents a work that is a compilation of statements of various prophets and inspired authors that lived before him. However, and crucially important, it had never undergone a second editing under the influence of Ruach Hakodesh; rather it was put together and added to by someone who did not possess Ruach Hakodesh. The Sages were aware which verses stemmed from which source. They did not refrain from quoting or commenting on those that were divinely inspired, even to the extent of referring to them as if they originated for the Scripture. They did not accept the book as a whole, however, for average people were not capable to make this determination and would come to treat verses that are not inspired as if they are. "This prophecy (in Micha) is very difficult to understand. It appears that it was pre-existing form the time of the Judges and at the time of Micha it was added to the rest of his words. It states similarly in Leviticus Rabba that two verses in Isaiah were already known for the time of Be'eri (father of Ezekiel) but were added to the book of Isaiah. There are many such instances in Prophets and Writings (He'emek Davar to Genesis 49, 10)". The Netsiv expands on this and cites many other examples in He'emek Sha'ala 166,5, among them that Shema Yisrael was first pronounced by the 12 tribes thorough Ruach Hakodesh and later incorporated by Moshe into the Torah, as per Pesachim 56a. This process of second transcription, he explains, accounts also for the phenomena of Keri and Ketiv, that is for the many words in the Hebrew Bible that are written in one way but are read somewhat differently. The Ketiv represents the original wording as first said through Ruach Hakodesh and the Keri the wording as it was transcribed in its final form the second time around, under Ruach Hakodesh. I must again emphasize the absolutely central role of Divine inspiration in the process of canonization, or fixing of the final wording and place of some of its books inside the canon of the Bible. I must also reiterate that we do not have authority to assume that this process applied to any books or verses except those specifically pointed out to us by Talmudic sages. It goes without saying that extending this idea to the Chumash is not only unwarranted but constitutes a transgression of a principle of faith, G-d forbid, and anyone suggesting such an idea has possibly have taken himself out of the community of believers. 1 See Psalms 72,20 Proverbs 9,1 ,25,1 (These also are proverbs of Solomon, which the men of Hezekiah king of Judah copied out. ), 30,1 and R. Menachem Mendel's introduction to Vilna Gaon's commentaray on Mishlei cited in Moshe Philip's edition 1,1. 3 See Megila 7a and Tos s.v. Ne'emra likrot vlo lhikateiv. 4 Bava Kama 92b, See Tosafot ibid s.v.meshulash bektuvim, Chagiga 13a, Eiruvin 65a, and more than a dozen other places. Maharits Chiyos in Kol Sifrei Marits Chiyos, Vol1, p152 maintains that the acceptability of Ben Sira is subject to a disagreement of Babylonian and Jerusalem Talmud. 5 Some contemporaries submit there may have been some Rishonim who may have held a similar idea in reference to Pentateuch as well. Others have questioned this idea and interpreted such scattered passages differently. This is not the place and time to engage in this ongoing controversy. The congregation of Israel has traditionally held fast to the principles of faith as formulated by Rambam and so should we do also. How a Lubavitcher turned around the most dangerous school in the Bronx. Once upon a time, many, many years ago, oh... about a thousand, a smart ambitious and hard learning man could study and know everything of importance that there was to know. Such a person would gather many students around him, earn adulation and respect... and make a comfortable living. Even a hundred years ago, one could gain by knowing a lot about many things. A hundred years ago, there would be respect, perhaps a few students but no adulation and probably no money. Now, the intellectual standard is to know a lot about increasingly narrowing slices of human endeavor. The way to accomplish something and to gain respect is to spend inordinate amount of intellectual sweat, blood and tears on one problem within a narrow field. This is what they write upon tombstones or in professional biographies. Here lies a man who enhanced our understanding of viral parthenogenesis, or identified a new chemical compound that contributed immensely to the practice of forestry, or wrote a book on the laws of haircutting. Polymaths in our world are...well, plain strange. To aspire to synthesize, to bring together diverse knowledge, to encounter the world of the mind, body and spirit in its frontal stillness is to go against the grain. It is the true "last frontier" of the modern hero. The romantic idea of heroism is fighting against assured tragedy, against odds. To struggle without recompense, to futilely aspire to encompass the immensity of human knowledge, to study languages that you do not need, to be lit up, excited and moved by ideas that don't make money- this is the true heroism of the modern age. Polymaths - I am with you. A 1 1/2-year-old black-and-white Chihuahua named Conan has become a celebrity in Japan after he began joining his master in daily prayers at Naha's Shuri Kannondo Zen Buddhist temple. "Basically, I am just trying to get him to sit still while I meditate," he explained. "It's not like we can make him cross his legs." Prophecy is central to Judaism, for the belief in the divinity of the Torah and the possibility of communication between G-d and man depends on the existence and validity of prophecy. In fact, it is basic to any revealed religion. In previous posts we have discussed how prophets are chosen and the philosophical explanations of prophecy. In this post I briefly address the Kabbalistic view of prophecy. Probably the most well-known explanation, popularized by R. Arye Kaplan, is that of R. Moshe Chaim Luzatto in KL'CH Pischei Chochma. In Pesach 7, Ramchal writes that prophets "see" sefiros or partsufim, each prophet perceiving the interrelationship of the sefiros in a specific vision, the details of which depend on the seer and are not sefirotic realities, as such. At the same time that a prophet perceives a weave of different interrelationships among the sefiros, he also understand that message of what he sees, that it is representation of processes and dynamics rather than static essences of sefiros, for the sefiros themselves cannot be truly perceived, being above the ability of thought to grasp. Ramchal is very careful in this chapter to guard against a simplistic explanation of the prophetic perception as being that of actual sefiros. One could, for example assume that a vision of a sefira is the image of those objects associated with it; for example, a woman or a house being visual representations of Malchus or rushing waters of Chesed or fire of Gevurah and so on. As I pointed out in another post, early Kabbalistic works, such as Shaarei Orah or Pardes Ch.23, presented a classification of various objects and concepts as embodiments of various sefiros. Ramchal does not want us to fall into such an over simplified concept of prophecy and sets out a much more sophisticated explanation of how the vision of sefiros constitute prophecy. It came as a surprise to me to find a very strong rejection of the view that prophecy is a vision of sefiros in the R. Moshe Cordovero's commentary to Sefer Yetsira, 1:7. After negating it with strong words, he proceeds to lay out a quite different theory of prophetic perception. Here is a parallel and more explicit passage in Pardes (6:6): "......prophets never saw the essence of sefiros themselves.... the intent is not that prophets grasped the sefiros themselves but that the source of their vision was from sefiros...however, their understanding was from heikhalos (Palaces)." In 24:2, he explains that the sefiros themselves cannot be grasped by any man, even as great as Moshe Rabbeinu. Rather the source of prophecy is in these Palaces, which we can briefly define as pooling of Divine Light along its flow from one Sephira to the next (unfortunately this is not a place for a detailed explanation of this concept). On the simplest level, the Ramak , who preceded the Ramchal, rejected the latter's approach because of his insistence on immateriality of the sefiros, a concern that we saw Ramchal also share. On a deeper level, however, the disagreement between them may depend on the different concept of what sefiros are. Ramchal speaks of sefiros as being Middos (KL"CH, 6), an approach that Ramak rejects in Pardes 4:3, adopting instead the explanation that became universal among later Kabbalists (apparently with the exception of Ramchal) that sefiros are vessels that enclose the divine light. Again, I apologize for not being able to expand upon this disagreement in this brief post that focuses on prophecy. A different view of prophecy is presented by R. Chaim Vital. He writes (Shaarei Kedusha 3:7): "...thought of a prophet spreads out and rises form level to level, from below to above, until it raches a place of origin of his own soul. (Standing) at that place he "thinks" to lift the light of sefiros to the Infinite (ain sof) and pull from there the returning light from above to below... until it reaches his intellect. It takes its portion in that light according to the amount of origin of his soul in the higher worlds, from there it pulls through the power of the imaginative faculty of Chaya-soul has in supernal worlds. 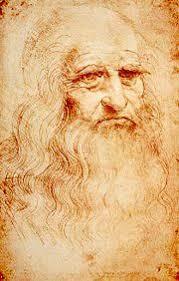 There in his senses there come to be formed things (meaning images) or in his external senses". Essentially, and as I interpret these words, R. Chaim Vital teaches the doctrine of "deeper is higher". In other words, prophecy arises from the grasping of the depths of one's own soul which are the same levels and identical to those above.This concept, developed to a greater extent by Baal Shem Tov and his disciples posited that the arena of the Lurianic tikkun is within individual's consciousness within, which in any case is identical to the Great Cosmos outside. Prophecy then is delving deeper into the root of one's souls that can then bring images and visions to the sensory and intellectual faculties to result in a complete vision and a prophetic message. As discussed on this site many times, a central principle of interpretation is that an explanation, whether of a verse or a Midrashic passage, must conform to what we know to be true from other places in Tanach, Oral Tradition, knowledge of the how the world functions and theology and Jewish thought. How do we approach a midrash that creates surprise and amazement? Let us consider one such passage. Can a pig be kosher? According to a midrash, well, yes and no and maybe. These are the ones that you shall not eat... and the chazir for it splits its hoof but the cud it chews not (Leviticus 11, 4-7). Why is its name called chazir? Because the Holy Name Blessed Be He will return it to Israel. On the face of it, the midrash seems to say that pig will become kosher after redemption and this is how Rama MiPano understands it in Asara Maamaros, Chikur Hadin 2:17. Harama MiPano was a Kabbalist and the idea that the unclean will be transformed into pure apparently did not present a difficulty to him. His is however, an isolated view, for the idea of a kosher pig is certainly a startling one. It appears to be in conflict with basic Jewish sensibility and most sources therefore offer explanations that limit or particularize this midrash. R.Bachya in his commentary to Shemini, for example, explains that the reference is to victory over Edom, whose symbol, the pig, is well known to us from other Midrashic passages. Alternatively it may refer to the might and power of Rome, which will be inherited by those who observe the Torah (R. Bachya and Rekanti to Shemini). Ritva to Kiddushin 49b offers a similar explanation. The Radvaz 828 suggests that the meaning is that in the world after redemption Jews will consume fat portions, as appetizing as if they were fatty meat of chazir. The Ohr Hachauym to this verse proposes that in the future time the pig will chew cud and therefore turn into a kosher animal. In Makor Chaim, a supercommentary on Ibn Ezra, R. Shem Tov Ben Falkira is quoted as saying that that the taste of pig meat will become known to the wise ones in the future time, not by eating actual pig, but through their wisdom they will be able to perceive it in other foodstuffs. One might ask why should pig meat be different from other Torah laws regarding which the statement, 'Commandments will cease in the world-to-come' appears to be more readily accepted (Nidddah 61b)? One can only speculate that it is due to the emotional impact of the idea that not only will pig become kosher but that it is something of spiritual value and importance. We think of pig as being the very epitome of uncleanliness and it is hard to imagine that it will turn into something desirable. Why after Maschiach should eating pig's meat acquire positive religious value? The simple meaning of this midrash conflicts with standard assumptions. It is for this reason that many commentators sought to discover another meaning in this perplexing midrash. 1 This midrash is quoted by many sources but it is not found in any of our standard collections. It is cited in Ritva Kiddushin 49b, R. Bachya Shmini, Radvaz 828, Avraham Anochi (A. Palaggi) in the name of Ramban and a number of Acharonim. 2 See Otsros Acharis Hayomim by Yehuda Chiyun, p. 100 in regard to the statement in Niddah 61b, "Commandments will cease in the future to come". Some take it to mean only after resurrection of the dead and others in the days of Mashiach; there are also views that restrict it in other ways. 4 Pri Megadim in Sefer Notrikon suggests that this midrash is the reason why the Talmud often refers to pig meat as 'davar acher', to indicate that pig will turn into a different entity at a future time. 5 As codified by the Rambam in Kelaim 10, 25 (but see Melachim 12,2, see Otsros Acharis Hayomim ibid) and Shulchan Aruch YO"D 301,7. Regarding this principle there are a number of commentators beginning with Rashbo that restrict it only to the time after resurrection, or to the dead themselves as long as they remain dead, or claim that it applies to resurrected individuals only or only to the short period immediately after the resurrection and only to the meal of Leviathan.